Studied law at the Faculty of Law and Administration of the Adam Mickiewicz University in Poznań. He also studied finance and accounting at the Faculty of Finance and Banking at the WSB Business School in Poznań and received an award for academic achievements. 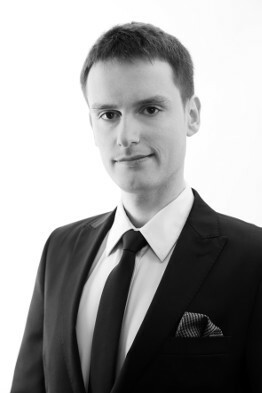 Legal adviser at the Regional Bar Association in Poznań since 2015. Involved in numerous projects associated with, among others, drawing up agreements for the sale of organized parts of enterprises, drawing up articles of association and other types of corporate documents, including those concerning the sale/purchase of shares. Supports clients in establishing commercial law companies and partnerships and starting their operation. Author of numerous legal publications. Represented clients in cross-border court disputes on multiple occasions. Advises clients on administrative law including environmental protection law. Languages: English.